If you have been thinking about finding some impressive and interesting hairstyle and hair color tone combo ideas for your hair, then the following list we are going to introduce will be very useful for you. Here we are going to speak about the top 50 stylish hair color ideas inspired from the sassiest looks of the most popular celebrities. Thus, presenting the stylish ideas that the celebs came up with, we can point out the following variations! The interesting look that Hanneli Mustaparta showed for the Michael Kors fashion show is probably one of the best and most versatile hair color ideas, here coming with the color plays of lighter and darker shades, created from tips to bottom and matching the classic central part and the flip accents of the whole ‘do nicely. The natural vibes accompanying the look are another descriptive aspect. As for the option suggested by Julianne Moore for the premiere of ‘Maps to the Stars’, here we may see the classic interpretation of what the auburn hairstyle ideas might suggest. So here Julianne opted for a sleek ‘do matching it with ponytail hints and a classy side parting for the side swept front hair. Another interesting option has been suggested by Lily Aldridge, who came up with quite an appealing solution matching the darker color shade with the auburn hints applied delicately to the bottom. And what made those accents noticeable and noteworthy was the long straight cut matched with the central parting and overall simple vibes. For the premiere of ‘Cake’ Anna Kendrick decided to style the rich brown shade of her hair with the curly accents and the side parting, creating an overall messily touched yet nicely worked out ‘do. The sun-kissed shade of the slight color plays of this ‘do was really impressive and good-looking. For some cooler and more practical solutions you may also have a look at the option suggested by Felicity Jones for the Variety Studio visit. Thus here she matched the dark brown tone of her hair with the super cool classic bangs. The following creative idea for styling brown hair and creating an attractive shade can be created according to the way suggested by Alessandra Ambrosio for the InStyle 20th anniversary party. So here the dark brown tones were matched with lighter brown shades and put with the curious messy accents combined with the central parted finishes. The color play was again impressive and noteworthy. Another absolutely stunning and cool color variant that you may create for auburn hair is that suggested by Bella Thorne, who was noticed with a very rich and shiny bright tone for the half-updo she sported, coming with the messy accents for the high ponytail, matched with the front framing hair and overall effortless waves. For the Jennifer Fisher NYC flagship store opening Joan Smalls decided to play with colors too. This time she opted for the different overtones of dark brown tones, putting all that in line with the sleek and straight ‘do finished off with the classic central parting. As for some more shorter hairstyles you can have a look at the option by Nieves Alvarez for the Venice Film Festival opening ceremony, where she was observed with a messy short cut, matched with color plays of light brown and some chestnut accents and finished off with the effortless accents and the side parting. The wavy touches were the following descriptive detail of this look. Another absolutely sassy alternative can be found with the look of Emma Stone for the ‘Birdman’ photocall. Here she matched the rich auburn tone of her hair with the classiest chignon finishing it off with the side swept front framing hair and the overall sleek accents. ‘Teenage Mutant Ninja Turtles’ press conference was what we can have had a look through in order to see another absolutely gorgeous and cue interpretation of the light brown hair. Here Megan matched the color plays of her hair with the classic wavy style finishing all off with the side parting, which demonstrated the color play of tones getting darker with the transition from tips to top. In order to match your auburn hair color with straight ‘dos, you can have a look at the option suggested by Rose Leslie for the Emmys. Here the long and ultra-straight cut was her choice and it matched the rich auburn hair tone of hers just perfectly. As for the uber cute and sweet interpretations, you can always turn to the looks of Zooey Deschanel, who always manages to come up with something fresh and absolutely beautiful. So for the Emmys, she opted for some classic curls matching them with the central parted bangs and finishing all off with the nice and catchy color plays of auburn. In order to match the auburn tone with the wet effect, you can pull it off like Kate Walsh for the Emmys, matching the auburn tone of her hair with the sleek top part and the wavy finishes. The color plays of lighter and darer tones were also there to secure the nice feel. One more interesting interpretation for the rich and saturated auburn tone can be found with the look of Christina Hendricks for the Emmys, where she matched the reddish tone of her hair with the messy accents and the wavy finishes, all matched with the central parted accents. One more interesting and noteworthy hair color can be found with the look of Kate Mara coming with an ultra-short cut for her strawberry blonde hair, matched with the messy wavy accents and the classic central parting. The hints of the wet look were also there to spice up the look a little bit more. Another eye-catching look was presented by gorgeous Kate Winslet, who matched the appealing blonde tone of her hair with the messy-glam elongated bob and finished all off with the central parting. In order to keep it maximum feminine and elegant, Alexandra Daddario decided to match the color play of dark brown, blonde, and some auburn with the interesting side parting and the wavy accents for the Emmys. The following noteworthy interpretation with auburn hair is that of Debra Messing, who came up with the saturated yet a bit darker auburn tone in order to get the classy side parted and wavy ‘do for the Emmys. So here the monochrome tone was all that she needed for ideal results. This shade is like the best alternative between the richest auburn tone and the darkest brown. The following interesting interpretation with the blonde hair color play and classic ‘dos was seen for the look of Anna Chlumsky for the Emmys. So here she came up with the classic French twist creating her classy updo and showing the color plays of dark blonde tones ideally due to the sleek and side parted front part. As for the curious alternative suggested by Rocsi Diaz for the MTV VMAs, here we can first of all speak about the color transition from richer chocolate tone to dark shades going from the tips to the bottom, here coming matched with the ultra-straight style and the central parting creating minimalistic and very impressive look. The following combination of shades rich in auburn and brown tones can be found with the look of Noureen DeWulf for the Entertainment Weekly pre-Emmy party. So here she came up with the classy accents for wavy locks matching them with the color plays and the side-parted front framing hair for completion. The next interpretation for updo hairstyle with red hair can be found with the look of Darby Stanchfield for the Variety Women in Film Emmy nominee celebration. So here she was seen with a cute side chignon matched with the slick back front part and the overall monochrome accents for the whole length of the hair. Auburn does look great with wavy locks! This was proved once more with the help of the look of Rachelle Lefevre for the Variety and Women in Film Emmy nominee celebration. Here she matched with sun-kissed auburn shade of her locks with the central parted and voluminous wavy look. The half-updo style was the pick of Sarah Rafferty for the Creative Arts Emmy Awards, where the sleek back touches were matched with the creative and cute straight ‘do and the overall minimalistic touches, which showed the beauty of the saturated tone to the full. What Minnie Driver opted for during the Hollywood Foreign Press Association’s Grants Banquet was the synthesis of the darkest bordeaux hair color with the tiny messy locks styled into an effortless updo for a classic ‘do. The front framing curly hair also spiced up the look nicely. The layered cut matched with the various color tones of blonde and dark chocolate brown were the choice of Ashley Greene for the premiere of ‘Wish I Was Here’, to which she came with that classic side parted and sleek hairstyle, finished off with the ultra-straight accents. Matching the dark brown hair with slight blonde accents and finishing all off with the classic low ponytail, you will get the perfect look of Jennifer Garner. The classic bangs framing the front part formed the following catchy and cute aspect of the ‘do. There exists a super big mass of alternatives you can try out with the combos of messy touches and auburn hair accents. So one more option is presented by Abigail Spencer, who came up with the combo of the messy touches for the loose ponytail, matching it with the delicate accents of the reddish brown color plays found in the front framing side wept hair too. This is what she rocked the Hollywood Foreign Press Association’s Grants Banquet with! What Rachel Brosnahan came up with for ‘Extra’ is just another absolutely cool interpretation of the combination of wavy ‘dos with auburn brown accents. So here we have the classiest combo of the wavy locks with the saturated reddish variant of the auburn shade, all matched with the central parting and the slight color plays of dark and light shades. The cutest interpretation of the auburn hair with the updo touches can be found with the look of Lindsey Stirling at the Teen Choice Awards. Here she was noticed wearing a super cute pinned-up do adorned with pinned-up ringlets and finished off with a sophisticated crown braid for the total chic. The nice classic bangs were the following descriptive aspect of the messy ‘do. Another classy and noteworthy look for the Teen Choice Awards can be found with Odeya Rush, who came up with the cool messy and wavy accents for the color plays of her hair involving some chocolate tones and slightly noticeable auburn accents. The central parting was of course the guarantee of chic and glam. The following cute suggestion for the reddish tones can be found with the look of Katie Leclerc, who decided to go brighter with the tone of the hair, matching it with the updo style, finished off with the side swept front framing hair and the overall slightly messy hints. Classic and absolutely chic interpretations were the choice of Mary Steenburgen, who decided to match the dark brown tone of her hair with the layered cut and the wavy accents, resulting in a chic voluminous ‘do for the NYC screening of ‘The One I Love’. The shorter classic bangs were another curious and beautiful accent here. For bolder solutions with brown hair you can also look through the looks of Lucy Hale, for one of which she matched the pink braid strand with the rest of the brown color plays for her Hollister House performance, thus creating an overall messy yet beautiful look. The following look we would like to speak about is that of Lindsey Morgan, coming with the beautiful brown accents for the classic wavy looks finished off with the central part and the feathered ends. This was her pick for the Young Hollywood Awards. The following impressive and ultra-cool interpretation with warm brown hair is that of Maggie Gyllenhaal, who opted for a super cute pixie for TimesTalks, matching the ‘do with overall messy accents and curious choppy touches. Karen Gillan also managed to create some interesting hairstyle variations with auburn hair, coming up with a disheveled short ‘do at the ‘Guardians of the Galaxy’ premiere. The messy touches and the saturated auburn tone secured the chic feel of the side-swept ‘do. What Aubrey Plaza opted for attending the ‘Guardians of the Galaxy’ premiere was the combination of the swept hair with the black with brown touches, all finished off with the messy hints and the final updo. The look of Emily Deschanel is the following interesting option we would like to speak about, introducing the cute combination of the auburn plus brown shade plays matched with the wavy locks and the overall side parted front framing hair for the absolute glam. So this was her choice for the Fox Summer TCA All-Star Party. The next interesting and noteworthy combination of the brown shade plays with honey blonde tones can be found with the look of Nikki Reed for the Splendid Tanktastic event. Here we could see her with a messy updo, finished off with the side swept front framing hair and the curly accents. Simple yet chic was the pick of Jessica Alba for the ESPYs, where she was seen with the ultra-sleek ‘do matched with the side swept details and the interesting straight touches combined with the shade plays of golden brown tones for the perfect texture. Retro ‘dos like beehive also look great with auburn hair. This was proved with the look of Lee Chae-rin just perfectly, when she was attending the Valentino Couture fashion show. So here the voluminous accents were matched with the monochrome curious shade and finished off with the delicately laid down texture. Aya Cash came up with another spectacular interpretation for the auburn locks of hers, styling them into a classy side-swept do and finishing all off with the layered texture and the shortened bangs, which were also side swept. This was what made up her look for the premiere of ‘The Bridge’. For the premiere of ‘The Bridge’ the following curios interpretation with ombre hair could be seen with the look of Annabeth Gish, who sported a classy updo, matching it with the sleek touches and the nice shade plays of brown and black tones. Marion Cotillard is the following beauty in our list, coming with the combo of the classic bun with the natural brown color plays, all finished off with the side swept short bangs and the overall sleek ‘do. This was the pick of Marion for the glamorous Dior Couture show. The following successful combination of the curly hair with the side-parted touches and the chestnut brown locks was that of Princess Eugenie for the Serpentine Gallery Summer Party. The overall short length of the hair came matching the color and texture plays just ideally. Susan Sarandon presented another interesting variation for the auburn hair, styling it into bouncy and messy curls and finishing all off with the just as messy swept bangs and the color plays of light and dark saturated auburn tones. Taylor Spreitler came up with the next curious synthesis of ombre tones, this time matching them with a plenty of other brownish overtones and putting all that for the edgy side-swept ‘do for the Thirst gala. The curly accents accompanying the ‘do were the next ideal details. Finally, the last but not least impressive interpretation with red hair is that of Rebecca Rittenhouse for the Fox Summer TCA All-Star Party, where she decided to match the luxurious dark auburn tone with the sassy and glamorous side swept hints and the wavy finished, of course. Thus here was the list of the top 50 stylish hair colors inspired from celebrities that we would like to present to your attention, showing the basic interpretations and syntheses that can be created with auburn, brown and blonde locks. What makes these combos so special is the color variation that the hair tones allow to create, thus forming a nice range of shade-and-texture plays that will secure the total glam for any occasion. 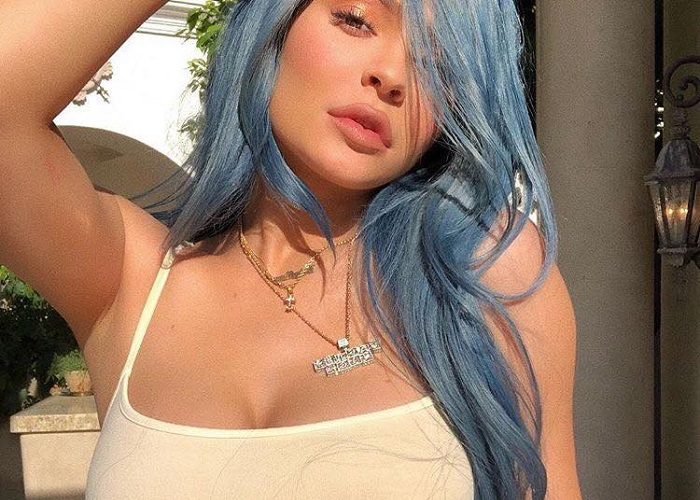 So have a look at these hair color ideas from the celebs and discover more stylish ideas for the most impressive looks of yours. If you have been wondering about having your hair dyed into a new tone then go for your fave shade boldly, if you are sure that it will match your skin tone. We do hope that this list will be useful for providing you with more creative ideas and options!